Initiated by the Art Fund and the Contemporary Art Society, Testing Media is a scheme that explores the challenges of contemporary collecting. Following a national process, two acquisition awards were made to focus on collecting performance. 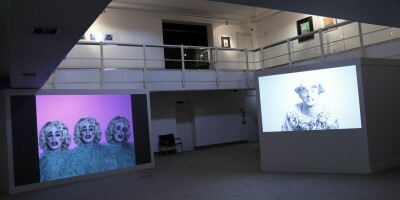 In partnership with the Harris Museum & Art Gallery, Preston, Live at LICA has looked at the work of Mel Brimfield. The resulting co-acquisition features an incredible 19 works that demonstrate Brimfield’s multifarious practice. The whole acquisition was on display for the first time, between October and December 2014 in the Peter Scott Gallery, to both celebrate the Testing Media scheme and form part of Live at LICA’s programme for Lancaster University’s 50th Anniversary. The display demonstrates the significant work and legacies created through long-term support and partnership working.